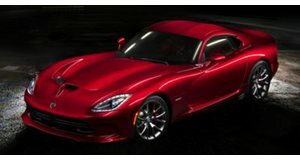 The Reborn Dodge Viper Isn't Happening After All? The . This literally came out of nowhere. No one expected it. Only last August, Fiat Chrysler closed the Conner Avenue assembly plant in Michigan where Vipers were built. However, with a projected debut for next January at Detroit, the (again) reborn Viper sounded like a very real thing, especially since it would coincide with its 30th anniversary. Only it isn’t, at least according to FCA CEO Sergio Marchionne. noticed a couple of Twitter posts, and the other that quoted Marchionne as to the following: a new Viper “is not in the plan,” although Marchionne still sounded like he was open to the possibility. However, Marchionne specifically stated that the previous Viper was not a strong seller and a poor money maker, so any potential revival, as long as he’s still running the show, will certainly require a profit making plan. That’s a pretty tall order considering the Viper was always a niche high performance sports cars. Marchionne also commented on the rumored reborn Viper engine, a naturally aspirated V8. In his customary directness, the CEO stated a “cute” European engine, which more than likely would be an Alfa Romeo or Maserati-sourced twin-turbo V6 or V8, simply wouldn’t fit the Viper’s demeanor. The classic NA V10 and six-speed manual is hard to give up. Given this latest update and Marchionne’s very direct words, it’s best to assume a Viper revival isn’t happening at the moment. However, Marchionne plans to retire next April so who knows what his successor has in mind.